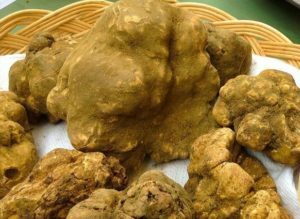 Every November Tuscany celebrates the rare and prized white truffle. This elusive tuber ranks as the most expensive food in the world. The public is invited to see, smell, take home and enjoy this renowned product in festivals and markets south of Siena and west of Florence. November 19 & 20. Open 10:30 am to 7 pm. Free admission. This year’s truffle fest in southern Tuscany, altered by a political situation, promises even more gastronomic enjoyment than usual. Two small towns, one famous for white truffles (San Giovanni), and the other red wine (Montalcino), decided to join forces and become one municipality. Due to dwindling population and limited resources, a landslide vote of residents created a merger and the villages now share schools, post offices, a police force, health services and now, a signature event. As in previous years, San Giovanni d’Asso hosts the truffle festival, but the event, now called the Truffle Market of the Crete Senesi, is where the delectable culinary treasure shares the stage with Montalcino’s equally famous Brunello wine. 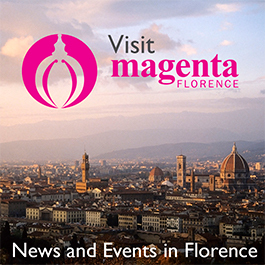 The program includes a competition between producers of local pecorino sheep cheese, cooking demonstrations by the International Chef Academy of Tuscany, art exhibitions, truffle hunts with a resident tartufaio, as well as an opportunity to “Stroll and Savor” at food stands, which besides exhibiting truffles and truffle-based products, sell wine, cheese, craft beer, sausages, olive oil and honey. To work off some of the rich bounty, there is a Sunday morning walk through the countryside including farm and winery visits. The festival comes to a close with the “Grand Dinner at 0 Km,” a feast featuring locally sourced products from nearby farms (reservation necessary: Saturday, November 19, 9 pm). For the complete truffle experience, visit the Truffle Museum in the underground vaults of the medieval castle (hours: Friday, Saturday and Sunday 10 am – 1 pm and 3 – 6 pm, admission €4). For further information, see www. museumtartufo.museisenesi.org. November 19 & 20 and 26 & 27. Open 10 am to 8 pm. Free admission. The area surrounding the town of San Miniato is one of the most prolific in Italy for the tuber magnatum pico, or white truffle. Built on a hilltop and crowned by the rebuilt tower originally commissioned by German Holy Roman Emperor Frederick II, San Miniato holds the record for the largest truffle – weighing in close to five lbs. – ever found. Canopied stalls that fill the Cathedral Square display wine, olive oil, walnuts, vin santo dessert wine and other local products for sale, but the white truffle is king. Its pungent aroma wafts through the piazza. Both fairs provide a unique opportunity to learn about and savor the “diamond of the earth” historically believed to have aphrodisiac powers and prized by chefs throughout history.